Catching up with some familiar faces. Three artists are out with new albums and they're all known quantities, so I'm just going to say a word or two about them and put up the Lala embeds. Steven Mark-One Small Room. The common theme here is going to be if you liked the previous album(s), you'll like this one, and it certainly applies to the latest from this singer/songwriter, who shouldn't be confused with Steven Wright-Mark. Mark serves up another helping of his Elliott Smith-meets-Lennon pop, and throws in a cover of "The Logical Song" as well. Fooling April-Three. This Philly band (whose first two album were on Kool Kat) is back with their third album, oh-so-cleverly titled Three. It's more of their modern-sounding piano-based pop that will appeal to fans of Jack's Mannequin, Harvey Danger and that Folds guy. It can be downloaded at the Bandcamp site for a price of your choice. Philip Vandermost-The Long Path. This California rocker caught the ear of Bruce Brodeen of Not Lame last year with his debut Automatic August, and played one of last year's IPO festivals. Now he's back with a new disc that hit the street this week. RIYL: Coldplay, Crowded House, Guster. The finest Canadian power pop band this side of Sloan, PEI's Two Hours Traffic, is set to release Territory, their followup to 2007's Little Jabs, on September 8. To whet our appetites, they've released an mp3 of the title track. Quick Fix Bandage is the debut solo album from the frontman of Signal Hill Transmission, a band that has had an interesting history. They debuted in 2005 with Tomorrow, The Stars, a largely alt-country disc, followed it up with 2007's An Empty Space, which saw them move in a pronounced power pop direction (and featured "Cherry is a Girl", which would make my short list of top power pop songs of the decade) and then signed with ATO Records in 2008, hooking up with Pete Yorn & Liz Phair's producer and releasing the Starting Gun EP, in which they tried a bit too hard to be radio-ready. The common thread in all the SHT albums, though, was Warren's songwriting ability, and now that he's gone solo he's managed to come almost full circle and release a laid-back, country-influenced pop album in the style of solo Rhett Miller and sometimes songwriting-partner Todd Herfindal of The Meadows, who helped engineer the album. "Before You Say Goodbye", which opens the album, is about as good as anything Warren's written, from its easygoing melody to its light country instrumentation. "Along for the Ride" and "Same Old Scene" are spare but lovely; and the atmospheric pedal steel of "For the Ride" should make happy all of those who wonder why Jeff Tweedy doesn't do these kinds of song anymore; and "Speed of Sound" will appeal to those who loved SHT's power-popping efforts. Warren closes the proceedings with a slowed-down cover of America's "Sister Golden Hair", which is nice but hurt my brain to listen to as the faster-paced original is so embedded in my memory that I found myself mentally singing along about 2-3 lines ahead throughout. I will give him credit for not doing a rote cover, however (cough, cough, Matthew Sweet & Susanna Hoffs). New music from Michael Penn! It's pretty amazing to realize that this year marks the 20th anniversary of Michael Penn's solo debut March, and that it's been that long since the great "No Myth" marched up the Top 40 (good luck with tunes like that today). Anyway, I've been a big fan of MP since I first saw the "No Myth" video on MTV, and I'm excited to bring you the news that he has some new material out, his first since 2005's Mr. Hollywood Jr. 1947. These three tracks (which can be streamed in full and/or purchased below) are from the upcoming IFC miniseries Bollywood Hero, starring Chris Kattan. They're all quite good: "Untouchable", given its title and the subject of the miniseries, has some Indian instrumentation but is otherwise classic Penn; "In Two Worlds" is a duet with wife Aimee Mann, and "This is the Life" is the real standout of the three, a classic slow-build Penn ballad in the vein of "Bucket Brigade" or "I Can Tell". Three discs to chew on in this late week roundup, two from familiar faces and one from a new one. David Brookings-Glass Half Full. Nashville may have been getting all the Tennessee-related attention around here lately, but here's some equal time for Memphis as favorite son David Brookings returns with his fifth solo album since 2000. Brookings has long been a favorite in the power pop community with his easygoing melodic style, and has drawn comparisons to the likes of Jim Boggia, Mike Viola, Matthew Sweet and Michael Penn. With Glass Half Full, it'll hardly take an optimist to warm up to this collection of tracks. "Don't Wake Me Up" gets things off to a rollicking start with its McCartneyesque feel, "I Wish I Could Be With You" is as sweet as its melody, "Love Goes Down the Drain" mines some Jellyfish/Viola sounds, "Hazel" jangles and shines, and "Still Not Crazy Yet" is pop at its brightest. This might be his best yet. Your Gracious Host-Easy Red. All I can say is that Tom Curless (a/k/a Your Gracious Host) is one productive guy. Not content to rest on the laurels of last fall's double-album self-titled debut, he's returned as YGH about nine months later to bring us Easy Red, 11 more tracks of the same winning indie-flavored power pop we loved on the debut. Standout tracks on this disc include the urgent "Alibi", which reminds me of Teenage Fanclub mixed with mid-70s Roxy Music, the angular "Rescue Me", the Andy Partridge-like "Blue Sky", and the pretty, languid title track. At this rate, I'll be back in the spring reviewing the 3rd YGH disc, and I'll be happy to do so. Billy Schafer-First to Believe. 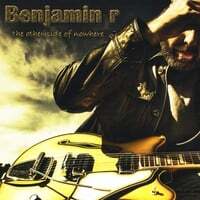 The debut mini-album (7 tracks) from this San Francisco singer/songwriter has been a revelation. Although it didn't bowl me over at first, it really has grown on me and become a real favorite. Schafer's style is similar to artists like Elliott Smith, Gus Black, AM, and Mark McAdam. Two tracks really stand out here as some of my favorites of the year - the opener "Wondering", which sounds both contemporary and classic, and the lovely "My Mona Lisa (The One)", whose chorus has been embedded somewhere in my brain for quite a while now. Both tracks make excellent and tasteful use of strings as well. The other five tracks are no slouches either, with "April Fool for You" and "The Dream is Alive" worthy of particular note. A very nice debut. If you've only joined the power pop community in, say, the last four or five years, you may not have heard of Brian Jay Cline. Personally, I discovered him in early 2005 when his last record, One More for the Road, came out. After doing so, I had to seek out his back catalog. So it's quite possible you right now could be me circa 2005 if Nashville Tracks is your first exposure to this great roots-poppin' artist, while the rest of us are just grateful he's seen fit to release his first new disc in nearly five years. If artists like Marshall Crenshaw, Walter Clevenger, Bill Lloyd and The Melroys are your bag, you'll wonder how you got by without Cline for all these years. The title of his latest is as unpretentious as his sound - these are tracks he laid down in Nashville, and if you had to guess without knowing the title, Nashville is where you'd probably think they were recorded. All the tracks here are good, but some are more equal than others. "Rave Up" finds him as a twangy Buddy Holly; "Talk of the Town" is right in that Lloyd/Crenshaw sweet spot; and "Lying at the Speed of Sound" has enough sass to make kindred spirit Terry Anderson proud. Elsewhere, "Last Chance" has a bit of a bluesy feel and one could easily picture someone like Robert Cray covering it, and "Road to Ruin" tackles our recessionary times. The only quibble I have about the disc is that I can't share a Lala (or any other digital music provider) embed below; Cline is old school to the extent that his stuff isn't on iTunes or the other digital download places. You'll just have to check out the samples at Not Lame or his MySpace if you're unfamiliar with him. New Codaphonic EP - free! We've always enjoyed the Harry Nilsson-influenced Codaphonic around these parts, so I'm pleased to pass on the news that they're making Edison's Rival, their brand-new EP, available for a free download. Michael Harrell-Jericho Blues. After releasing one of 2007's best EPs, Greetings from the Village, Nashville's Michael Harrell is back with Jericho Blues, his debut full-length. The album picks up where the EP left off, with 10 tracks of what might be called the "Nashville power pop sound". "Give Me a Beat" channels Greg Pope and Edmund's Crown, while "Paint by Numbers" is Superdrag-esque. Other highlights include the Beatle-y "Action, Reaction, Dissatisfaction", the rocking "Katherine", and the lovely country-tinged "Tennessee Valentine". Harrell is a real talent, and Jericho Blues is definitely year-end-list material. Mathew Street-Plastic Wings. Mathew Street - the road - is legendary in the music world, being the address for Liverpool's Cavern Club, where some guys in the early 1960s were well known for playing when they started out. Mathew Street - the Montreal pop/rocker - is less known but does his namesake street proud with his debut EP Plastic Wings, a collection of four quality Britpop-styled tunes. "Fine Glasses of Wine and Champagne" is one of those grab-your-attention-right-away pop tunes that reminds me some of The Feeling and Kit Ashton, "Because" and "Behind the Glass" are top-drawer power ballads, and the rollicking "Magic Mint" reminds me of Fastball. Now that he's distinguished himself from the famous road, just don't confuse him with Matthew Sweet. Jeremy Nail & The Incidents-EP. Another artist from 2007 back with new music is Jeremy Nail, whose Letter was a favorite that year. Unlike Michael Harrell above, who went from EP to CD, Nail has gone from a full-length to an EP, and at only three songs I'd call more of a CD single. But they are three really good tunes, in the same Ryan Adams/Paul Westerberg-hybrid style of the full-length. Have a listen below. Lamar Holley-Confessions of a College Student. One of these days, I'm going to compile a "United States of Power Pop" that references power pop artists in each state of the country. Off the top of my head, I can think of several states that are unrepresented, but I can now cross Utah off the list thanks to SLC's Lamar Holley. His Confessions of a College Student is billed as a pop musical, or "theater-pop" as he calls it, and it's a wonderfully melodic and quirky album that works as a whole or as standalone tunes. Mixing in a little Jellyfish, a little Ben Folds, some Beatles, and a lot of Brill Building, there's plenty here to like. "Forgotten Friends" brings the 'fish to mind, "Pretend That She's Ugly" is where the Folds comparisons come in, and "This is True" is a baroque blast. Tuition will only cost you $15, so it's a bargain. Fred Van Vactor-Everything Good All at Once. If the Lamar Holley is up your alley, then you should also like the debut disc from this Oregon artist. While the sound is somewhat similar, Van Vactor comes at his material more from a slack aesthetic than Holley's theater geek. Regardless, this is buoyant pop that's catchy, quirky and clever. "Bottle of Wine" is great midtempo power pop, "Falling in Love with Jill Kotowski" is equal parts Dean Friedman's "Ariel" and Ben Folds' "Kate", and "L-O-V-E A.D.D." is as clever as its title. The only quibble I have here is that Van Vactor pushes the quirk factor a little too far late in the album with the goofy "Mexican Guitar" and the answering-machine-message-set-to-background-music "No More Gardening...", which Folds beat him to with "Your Most Valuable Possession" and kept under two minutes while this one drones on for nearly four. Nevertheless, there's enough here to please any pop fan. 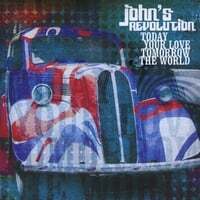 John's Revolution-Today Your Love, Tomorrow the World. 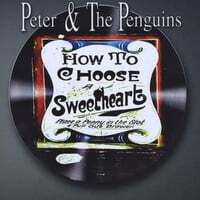 When I first heard this disc and saw the cover, I could have sworn these guys were from England. After all, they have a big Britpop sound that owes a lot to Oasis and the Stereophonics. But no, they're from Italy, although I even question this given that the band is comprised of four guys named Alex Eschgfaeller, Othmar Schoenafinger, Juergen Lanthaler and Boris Egger. Whatever their origin, they have a rocking sound that definitely does put the "power" in power pop. "Dreammachine" gets in your face, not unlike Oasis' "Shakermaker"; "Pocket Symphony", with its mix of quiet and loud, yet all melodic, sounds like it came from a Jet album, while "Cosmos" is John Lennon by way of Noel Gallagher. But my favorites here are the brash "Walk Away" and the groovy 60s rock of "Pop Child". If I have any say in the matter, this disc will be "Today Absolute Powerpop, Tomorrow Your iPod". Dan Bryk has a new disc out, Pop Psychology. And it's available for download at his site, either free at 128 kbps by joining his email list, or you can pay as little as 50 cents a track for a higher quality version. His stuff is great, whether solo or with bands like Down by Avalon, so check it out. 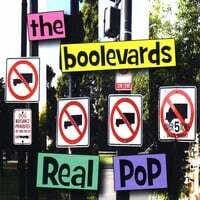 The Boolevards-Real Pop. This Illinois band gives us the first of two retro-rockin' discs featured today. Real Pop is just that, assuming the year is 1965. Two and three-part harmonies, Rickenbacker solos, Merseybeat melodies - it's all here in an expert re-creation of the era. And like many acts of the era, The Boolevards are led by brothers - John & Joe Nowik, along with guitar slinger Hugh Murphy. They serve up a generous 17 tracks here, with the highlights being "It's Great", "It's OK", and "It Stinks" (OK, I made that last one up). "Look to the Sun" and "Hot on the Trail of Love" are standouts as well. If you have a picture of Peter Noone hanging on your wall, run - don't walk - to pick this one up.